Original and photocopy of the admit card. 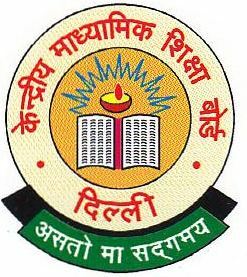 10th and 12th marks card and JEE Main results. 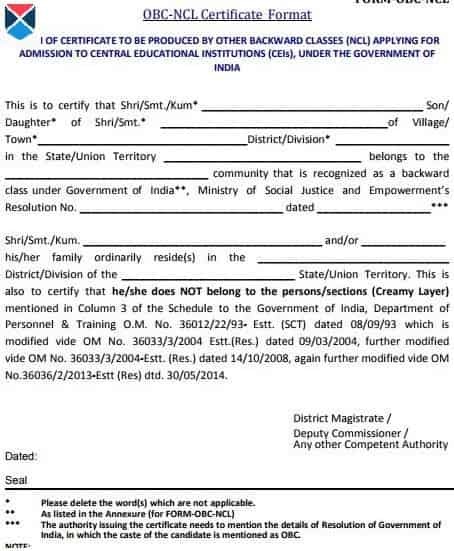 Caste certificate only if required. Migration certificate issued by any recognized board. 3 recent colored passport size photographs. Authority: The main authority that organizes the centralized JEE Advanced 2019 counselling for the admission into IITs, NITs, ISM & other Govt. Funded Technical Institutes (GFTIs) after JEE Advanced 2019 is Joint Seat Allocation Authority (JoSAA). Counselling Date: After the announcement of JEE Advanced 2019 results, the counselling process will begin from 19th June 2019. Mode: The JEE Advanced 2019 counselling will be conducted online. Eligible Candidates: The candidates who make it to the JEE Advanced 2019 Merit List are eligible to participate in JoSAA (Joint Seat Allocation Authority) Counselling. Schedule: JEE Advanced 2019 counselling schedule will be based on the candidate's rank in the rank list. JEE Advanced is conducted for admission to 4-year B.Tech program or 5-year Integrated B.Tech courses in various streams at various IITs across India. Acceptable Rank: Candidates who secured the acceptable rank in JEE Advanced 2019 will be considered as eligible for JEE Advanced 2019 counselling. Minimum Marks: Candidates who have obtained at least 75% aggregate marks in 12th or equivalent board exam are eligible for JEE Advanced 2019 Counselling. For SC, ST and PwD category candidates, the aggregate marks required is 65%. Minimum Marks: Candidates who are within the top 20 category-wise percentile of successful candidates in class 12th or equivalent board exam for admission in IITs. Online Registration: The candidates must enter JEE Advanced Roll Number, Registration Number, Date of Birth - (as per JEE Advanced 2019 Admit Card) and Password in order to register themselves for JEE Advanced 2019 Counselling. Selection: The Candidates must fill the choice of branch, course & Institute using the Registration ID online. They can choose as many courses as they want, change the order and add new courses to their list until they have made their choices. Seat Allotment: Seat Allocation is completed in 6 rounds. The candidates must check their JEE Advanced 2019 Seat Allotment at the end of every round. Once the seat is allocated, proceed with Online Payment to book the provisional seat allocation. Reporting and Document Verification: The original documents along with one attested copy must be furnished on the date of reporting for the document verification. The following documents will be required during the Counselling process. Allotment letter: The candidates must have a print out of the course allotment letter. 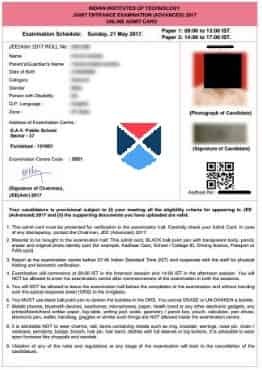 Admit Card: The candidates must have JEE Advanced 2019 Admit Card with them at the time of counselling. Fitness Certificate: The candidate must have a Medical Certificate from a registered doctor in the prescribed format which states that they are fit enough to pursue the course they are interested in. Application Form: The candidate must possess a print out of JEE Advanced 2019 Application Form. Marksheet: The candidates must have the original as well as a photocopy of class 10th & 12th mark sheet. Birth Certificate: The candidates must have the Birth Certificate for verification of date of birth. OBC-NCL Certificate: If the candidates belong to the OBC-NCL category, then they must have an OBC-NCL certificate. SC/ST Certificate: If the candidates belong to ST/SC category then they must have ST/SC certificate. Disability Certificate: If the candidates have any disability then they must produce Disability certificate. Identity Proof: The candidates must have an attested copy of Passport or any other equivalent Identity Proof. Educational Scholarship form: Candidates seeking for Educational Scholarship should download the form and update it accordingly. When will the academic session start in NITs? The academic session will begin in the 4th week of July 2017.
Who is allowed to take part in the counselling process of JEE Advanced 2017? The eligible candidates who make it to the JEE Advanced 2017 Merit list are eligible to participate in the JEE Advanced counselling process. How many rounds of counselling are there ?